If you own a business that either holds customer’s personal data, the process of card information from customers or it heavily relies on IT systems, then you will need sufficient cyber liability insurance. Even if you think that your business only has the names or email addresses of customers, this can still cause a damaging effect on your business if any hackers manage to hack into your computer system, or if your business experiences a data breach. 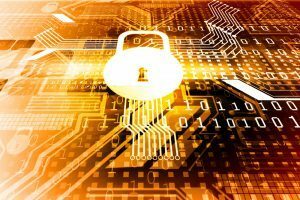 With cyber-attacks on the rise, it is more important to undertake cyber liability insurance now. Two-thirds of large UK businesses were hit by a cyber breach or attack in 2015/2016 according to GOV.UK, therefore showing that it is a big area for hackers to focus on. Recently, Lloyds bank was hit by hackers, causing customers of Lloyds bank to experience problems accessing their account. However, with the right security, no customers were left with a financial loss, as reported by the Financial Times. This has created an urgency more than ever for businesses with any IT system which may be liable to hackers which can generate information about your customers to undertake time to get insured. However, it is not only the big companies being affected by this, small UK firms are also as likely to get hit by a cyber hacker, creating risks for all firms without cyber liability insurance. While in 2015/2016, 74% of small companies were hit by a security attack according to the Guardian. As it is more likely that a small company is unprepared for a cyber-attack on their company, therefore, it is on the rise to attack these small companies. With hackers preying on the fact that smaller companies have little or no protection, this creates an attack which is easier for the hackers. Showing the importance of getting the right cyber liability insurance for your company no matter how big your company is. Giving business owners peace of mind. If anything does happen to the security of your business, then you will have peace of mind that you are covered. Insurance offsets the expenses of a data breach. Having insurance will benefit your company if you do experience an attack, making the cost for your company subsidized by the insurance. It’s more affordable than you think. Many businesses think that the insurance will take a big portion of your annual budget for the year, however, there are many different options available and which are affordable. Even if you don’t host your data yourself, you’re still responsible. If your website or data is stored in the ‘cloud’, then it is still legally responsible for the protection of this data, which cyber liability insurance will cover.